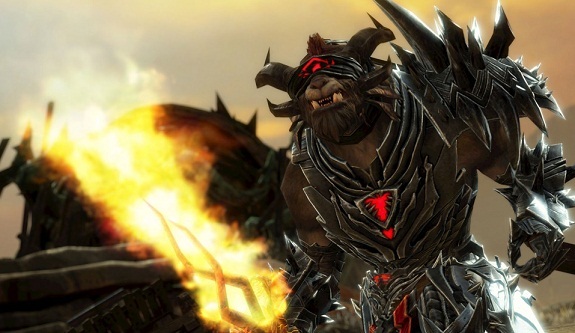 The Guild Wars 2 Heart of Thorns is the first add-on for ArenaNet's online role-playing game. 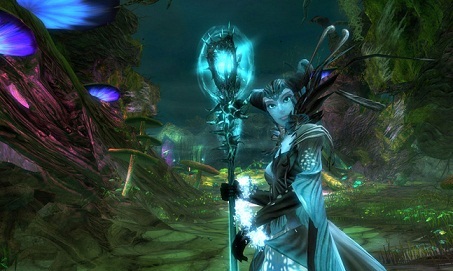 The new expansion will be available on October 23 and will provide all kinds of new features for Guild Wars players.. Anyone familiar with the Guild Wars series knows that ArenaNet and NCsoft's have always introduced new kinds of game mechanics. Hence, Hearth of Thorns offers a lot of new features, including flying, a new character system, a new class and the long-awaited raids! Heart of Thorns will introduce some new features in Guild Wars 2, above all, the new region Maguuma Jungle. This region was already present in Guild Wars 1 and is now home to the new villain, the plant dragon Mordremoth. Therefore, the leader of the raiding parties of dragon slayers should control the rampant undergrowth. Therefore, many of Maguuma regions are divided into different phases that change when you have conquered and secured the area. And because the jungle is impassable, you can move from branch to branch thanks to the gliders, flying squirrel. Furthermore, you can check with your jungle tour and unlock new outposts. Furthermore, finally the living history of Guild Wars 2 in Heart of Thorns retold. This meta-plot accompanied the players for years and provided for a very dense and lively atmosphere, as the world of the game really evolved and changed constantly. After the brilliant end of last season the story goes in the add-on at last and you can continue the dragon on its own territory to confront. Furthermore, it’s also gives proper Raids addition to the usual five-player instances where competing larger groups of ten adventurers in expansive instances against particularly tough bosses. In addition, your hero will be equipped with additional skills and values. On the one hand there are special skills. These skills you learn when you master certain challenges in the jungle. Later, you level the chosen skills, by their levels rising while you have already reached the maximum level bar of 80. Restraints are very powerful, for example, you can therefore forge legendary weapons or effective sail through the jungle. The other new character mechanics is called Elite specialization and lets you expand at your hero on. For example, the Warrior will go berserk, which may still take a torch in addition to his usual weapons. Ranger will turn Druids and can apply with rods magic. Also the new class called Revenants. They are mortals who have been lost in the dead world of fog and resurfaced. They have developed all sorts of strange forces and can call the souls of legendary heroes and villains in itself to be extremely powerful. Among them are such celebrities as King Jalis, the demon Mallyx, the centaur Ventari and even former villains Shiro and Dragon Glint! Depending on which souls you use, you can offensive the Revenant or play as a supporter and even customize the fight! Guild Halls are finally introduced in Heart of Thorns. This already existed in the first Guild Wars and was a popular feature. You build a guild a hall by all members diligently donate materials and thus establish appropriate building. Among a bullring, a war room to plan PvP and a tavern where you can belt out a guild anthem. The guild hall can be expanded and upgraded in 40 stages. In PvP, there will be the new game mode "Stronghold" where you have to take with the help of an NPC enemy castle and do the Guild boss there before the enemy does the same with you. There is also a league system for PvP and three new Borderlands map WvW, where it is necessary to conquer three mighty fortresses.